Wherever your Personal Information may be provided to Moyns Park Organics or on its behalf, we intend to take reasonable and appropriate steps to protect the Personal Information that you share with us from unauthorised access or disclosure. 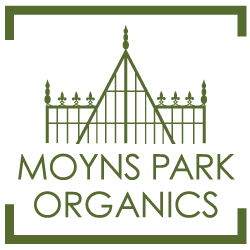 Some of the content used on Moyns Park Organics website is provided by 3rd party suppliers. We often experiment with shared content and add credits where required.